We’ve all heard the buzz around Chinese ecommerce giant Alibaba and its record breaking $25 billion IPO that surpassed both Facebook and Visa. The bigger question is – is this something that U.S. tech companies should be worried about? Although China’s largest ecommerce company hasn’t quite reached fame in the U.S. (yet), it’s definitely worth keeping a close eye on. With transactions on its online sites totaling a whopping $248 billion last year, the company garnered more sales than eBay and Amazon.com … combined. 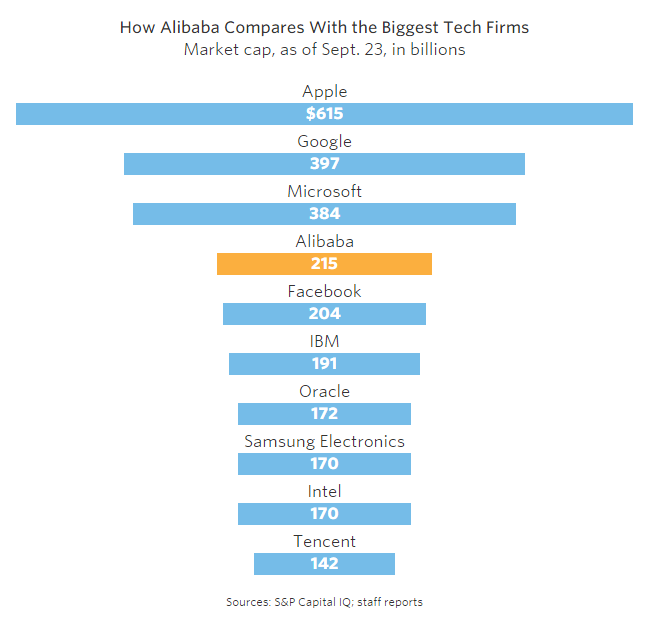 Following its IPO news, Alibaba instantly became one of the most valuable tech companies in the world and announced its initial move into the U.S. market. The company has opened its first U.S. data center in Silicon Valley, which will be run by Aliyun, Alibaba’s cloud computing division. The data center will be the company’s first outside of China, which will hopefully attract overseas Chinese businesses that need cloud services spanning the U.S. and China. The center will also serve as an opportunity for the company to learn more about the needs of American businesses. If the U.S. data center proves successful, we could start seeing a whole lot more of Alibaba. Do you think Alibaba has the potential to surpass Google and Amazon’s cloud-computing services? Let us know in a comment!